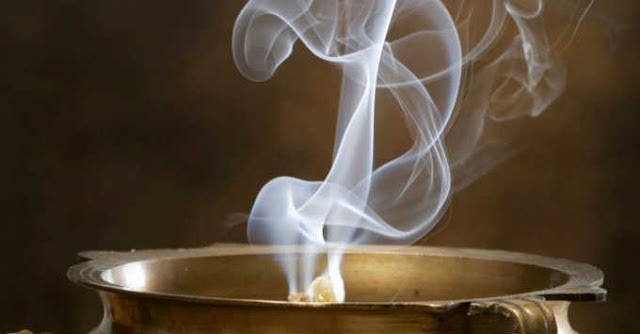 Burning the resin of a Boswellia tree as an incense has been a component in religious and cultural ceremony for milennia, for it is said that its aroma contributes to spiritual exaltation. Also known as frankincense and olibanum, Boswellia resin has been mentioned in numerous ancient texts including the old testament for its mystical capabilities and continues to have its place in some spiritual practices today. An international team of scientists including researchers from the Hebrew University in Jerusalem and Johns Hopkins University set out to understand how this age-old practice produces these mysterious psychoactive effects. In the ancient Middle East, Boswellia resin was a precious commodity, attained only from caravans from the sub-Saharan regions where it is still major export to this day. The ancient Greeks used the resin as an oblation and to the ancient Egyptians, the burning of frankincense was seen as the manifestation and presence of the gods as well as a sign of gratification. It served as the center of ceremony in ancient Judea and today, it is still offered in many churches of Christendom for ceremonies and liturgy. Now, frankincense is not just recognized for its ceremonial role, but as a practical form of therapy in treating bouts of anxiety and depression. As reported by the National Institutes of Health, the leading cause of disability in the U.S. for people ages 15-44 is major depressive disorder which affects nearly 15 million Americans. Over 3 million are affected by dysthymic disorder, a less severe form of depression, and over 40 million reportedly suffer from severe anxiety, which is often associated with depression in and of itself. In the seemingly constant struggle for peace of mind, it is important that we are aware of all the natural methods of relaxation that the Earth has bore for us. Additionally, the effects of frankincense have been found to be an effective remedy for nausea, fever, chest coughs, hypertension, as well as driving away mesquitos and other harmful insects. Moussaieff, Arieh, Neta Rimmerman, Tatiana Bregman, Alex Straiker, Christian C. Felder, Shai Shoham, Yoel Kashman, Susan M. Huang, Hyosang Lee, Esther Shohami, Ken Mackie, Michael J. Caterina, J. Michael Walker, Ester Fride, and Raphael Mechoulam. “Incensole Acetate, anIncense Component, Elicits Psychoactivity by Activating TRPV3 Channels in theBrain.” The FASEB Journal. The Federation of American Societies for Experimental Biology, n.d. Web. 11 Oct. 2015. Siddiqui, M. Z. “Boswellia Serrata, APotential Antiinflammatory Agent: An Overview.” Indian Journal of Pharmaceutical Sciences. Medknow Publications & Media Pvt Ltd, n.d. Web. 11 Oct. 2015. Federation of American Societies for Experimental Biology. “Burning Incense Is Psychoactive: New Class OfAntidepressants Might Be Right Under Our Noses.” ScienceDaily. ScienceDaily, 20 May 2008. . This post was republished from timewheel.net. You can find the original post here.